Blue Horizon won Best Developer Phuket at the Dot Property Thailand Awards for the second consecutive year. From beautiful projects to a dedicated team, the developer works diligently to stay ahead of the competition. What makes Blue Horizon the best? It starts with the portfolio of impressive developments including Skylight Villas, The Beachfront, Grand Himalai and its newest creation, Heavena. 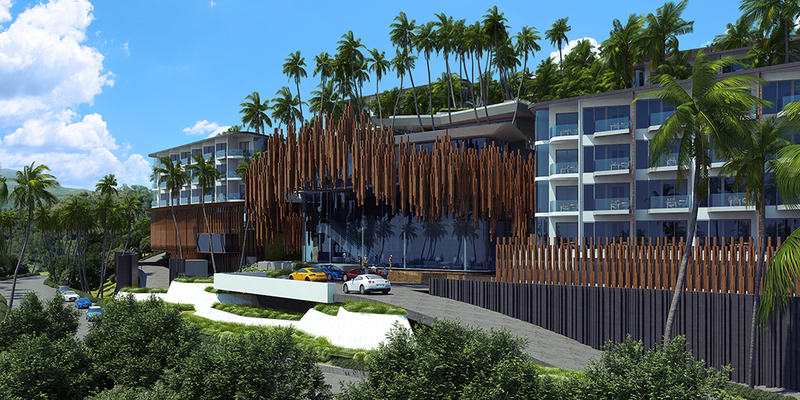 That stunning hillside development is one of the largest on Phuket and is unlike any project currently being developed. 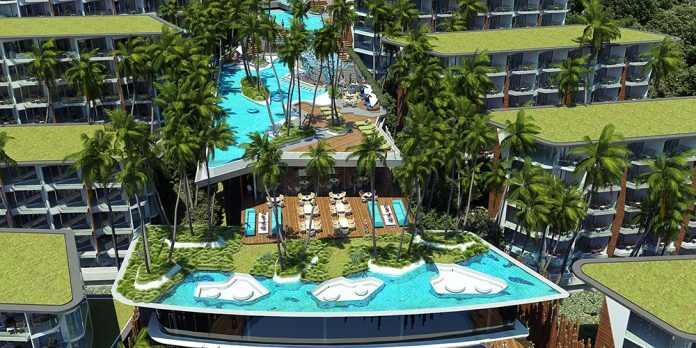 The stylish units and villas inside Heavena will be the toast of Phuket. The entire design is modern, yet retains the charm of the local surroundings. The amenities at the development are just as stylish. From zigzagging pools that weave through the resort to relaxing green spaces and rooftop hangouts, Heavena is creating something truly unique. Most awe-inspiring of all is the Neverland concept that connects all of these amenities. There will be a golf area, sky walk and vista point with overlooks of the nearby beach that tie the development together. The goal is to create and foster a wonderful space that inspires those staying here. It also guarantees that Heavena will be a place that attracts tourists from around the world. Meanwhile, Grand Himalai was named Best Investment Project Phuket and Best Mixed-Use Project Phuket at Dot Property Thailand Awards 2018. The trio of honours this year are simply the latest to be bestowed upon Blue Horizon. 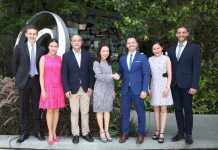 The company has now taken home ten awards since 2016 and continues to surpass the competition in Phuket. One aspect that sets Blue Horizon apart from other companies is its development of hotel-branded properties. 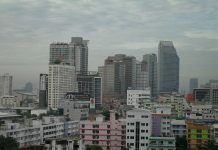 In Southeast Asia, this offers investors peace of mind and the potential for higher investment returns. 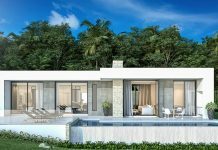 These types of projects are especially desirable in a region like Phuket where tourists want to invest or buy from a name they trust. Understanding this, Blue Horizon selected Ramada Plaza and Best Western to manage a few of their projects. Resort developments such as Grand Himalai undergo thorough inspections by the hotel operators to ensure it meets their exacting standards. 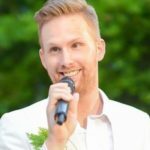 Research shows well-known hotel brands have higher occupancy rates throughout the year and command higher nightly prices since guests are willing to pay extra for the international-standard service. Returns at a development like Grand Himalai will be greater than what is offered at a non-resort branded residential developments. Additionally, the innovative rental programme utilised by Blue Horizon lets those who buys a unit at one of their developments use it for a set number of days each year. Blue Horizon has more than 15 years of experience working in Phuket. 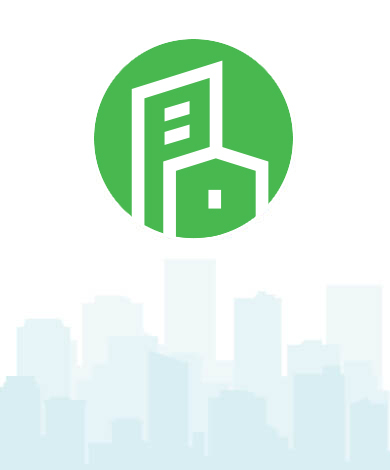 The firm has developed everything from villa projects to mixed-use complexes over the years. Each one has been well received by the public and has allowed the company to build a reputation as being Phuket’s best. One of the keys to Blue Horizon’s sustained success has been its staff. A strong company culture allowed the developer to build one of the most skilled staffs in all of Thailand. The Blue Horizon team supports clients from all around the world ensuring they are happy and confident. Chen-Ni (Jenny) Wang is Blue Horizon’s newest team members. She is able to assist clients from mainland China and other Chinese speaking countries in their search for the ideal investment property. She has lived in Southeast Asia for more than ten years, spending the past three in Thailand. Originally based in Bangkok, working with Blue Horizon allowed her to leave the city and enjoy the amazing island lifestyle Phuket provides. “I always like to work closely with my clients to understand why they are looking to invest or relocate to Phuket so I can provide them with the best property to service their specific personal requirements. I like to show potential investors a few different developments, explaining the pros and cons of each, in order to find the perfect fit for the individual’s needs,” Jenny explains. Everyone at Blue Horizon is equipped with the same can-do spirit that is supported with unmatched market knowledge. To say they are the best would be an understatement. They are truly willing to overcome obstacles of all sizes. This was evident during a recent team-building trip to Africa where they were faced with the prospect of climbing Mount Kilimanjaro. The Blue Horizon staff travelled to Tanzania with their sights set on conquering the 5,895-metre mountain. By utilising team work, positivity and a willingness to do whatever it takes to succeed, they were able to plant the Blue Horizon flag at the summit. Whether they are climbing one of the tallest mountains in the world or helping you secure the ideal investment property in Phuket, you can be confident in the Blue Horizon staff’s ability to do whatever it takes to get the job done. Thanks to its latest victories, Grand Himalai is now among the most decorated residential developments in Thailand. 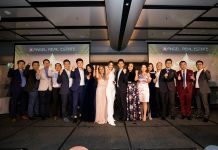 It was named Best Investment Project Phuket and Best Mixed-Use Project Phuket at the Dot Property Thailand Awards 2018 adding to the Best Mixed-Use Project Phuket and Best Mid-Range Condominium Development it won at the Dot Property Thailand Awards 2017. Situated next to the Grand Hyatt Resort on Millionaires Mile in Kamala, Grand Himalai is equipped with amazing location, units and facilities as well as amazing views of Phuket’s prettiest beach. The world-famous Ramada Plaza operates the property. 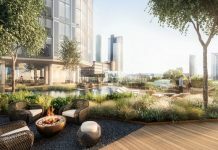 This means both residents and investors can expect the absolute best from their units. There are a total of 426 generous studio-size units in Grand Himalai. The development has been designed to ensure each one provides direct ocean views. The luxurious facilities at Grand Himalai have been crafted to impress those staying here. From a visual standpoint, the stunning iceberg pool with a bar and children’s pool is the most notable feature. There is also a slope lift to help people get up and down the hill the project is situated upon, a nice convenience for those not interested in walking. Grand Himalai also does a nice job of embrace the relaxing surroundings it has been built around. There is a waterfall that pours into a Koi pond, bringing a sense a peace to the entire project. There is also a meditation orchid garden where you can take a class or simply clear your mind when staying at the project. From an architectural standpoint, the Birds Nest Spa is the most impressive building at Grand Himalai. The spa offers an unmatched service where you can indulge in a massage or spa treatment. Blue Horizon is no ordinary developer. Their portfolio of top-notch projects backed by guaranteed rental returns, means Blue Horizon is a name you can trust when it comes to Phuket property. The firm chooses only the best locations. It then creates modern resorts designed with visitors in mind. It is a winning combination and Blue Horizon certainly has the awards to show the approach works. Everyone here at the Dot Property Group congratulates the Blue Horizon team for their award-winning work.